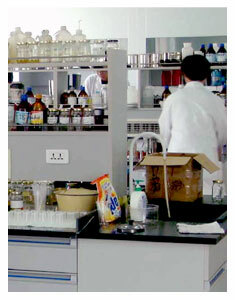 AFCONA Chemicals has experienced tremendous growth since it was founded in 2005 in Southeast Asia. Today we are a truly global company, with manufacturing, technical, and commercial operations on four continents. These sites support a network of dedicated sales staff and independent distributors who provide exemplary service to our customers around the world. We have a staff of more than 160 employees worldwide, and our management team has decades of experience in the coatings and chemicals industries. While our company is relatively young, we represent a wealth of experience our customers can bank on. One key to AFCONA’s rapid growth is our drive for continuous innovation. We have been able to provide advanced solutions to the market by tailoring our R&D, Applications, and Technical Service capabilities to the needs of our customers. Today more than 30% of our revenue is generated by products that have been in the marketplace for less than 5 years. And we reinvest more than 5% of our revenue into R&D every year to ensure our innovation pipeline remains healthy and continues to grow. Another of our assets is our flexibility and agility when adjusting to changing market conditions. AFCONA’s independent position in the chemicals market - and our employee-driven management model - allows us to act quickly when a fresh opportunity presents itself. Meanwhile, these same qualities help us take a long-term perspective when it comes to making decisions that drive our business. Finally, at AFCONA our single most important asset is our customer. We strive to fully understand our customer’s needs and then exceed them. Only by contributing to our customers’ successes will we as a company excel.